If you’ve been in or around the salon – physically or virtually – you know we’ve been preparing for the Catwalk for Clean Water, presented by Aveda. It’s an event we look forward to each year. It challenges us as stylists and as artists, and allows us to stretch our wings in a way that our day-to-day lives does not. 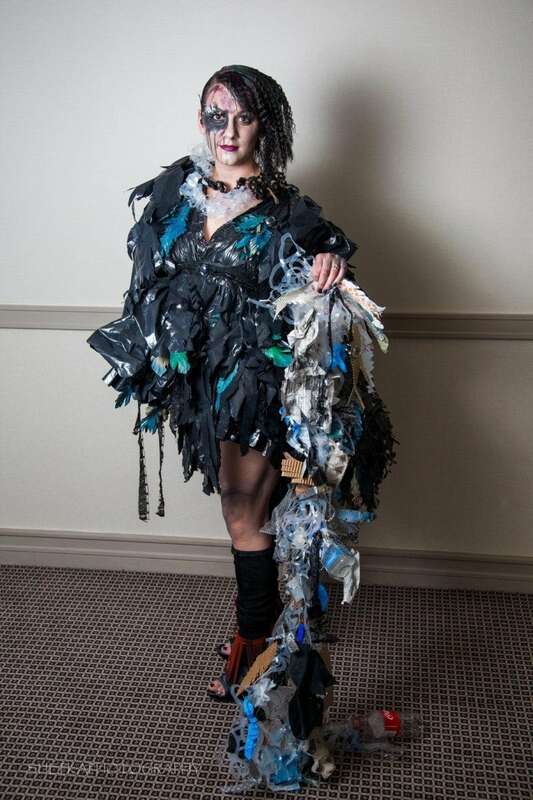 A fundraiser that raises money to provide access to clean water regionally and globally, this event requires competing salons to create a character using only Aveda hair and make-up supplies, as well as, build a costume out of all recycled materials. I’ve been fortunate enough to participate in this show twice; once in 2016 as the model, and again this year, as the make-up artist. This year, being on the other side of the coin was a completely different experience. When we decide to compete in each Catwalk for Clean Water, we come together as a salon and decide on an over-arching story that will become our theme for our entire concept. This theme is seen through the hair, make-up and costume, and also the personality our model will create as they take on this new role. We then divide the concept between hair, make-up and costume, with one stylist taking the lead on each aspect. Over the span of a few weeks, we work individually to develop our own piece of the puzzle and then check-in periodically to receive feedback from one another and make sure everything is coming together cohesively. 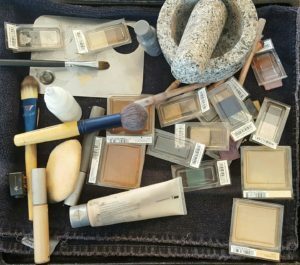 Our materials for this year’s Catwalk for Clean Water make-up. This year we decided to create a wounded bird, caught in an oil spill, to show the adverse effects of what happens when we live in a world without clean water. We wanted to use our profession that typically focuses so much on enhancing our client’s natural beauty and use it to create something almost ugly. With our concept decided I immediately connected to the idea of representing an oil spill through dripping make-up on Marissa, our model’s, face.This meant that we actually had to create the paint to drip from only Aveda make-up. To use anything else would disqualify us. So we took on the task of crushing eyeshadow and experimenting with its viscosity by mixing with different mediums and ratios of each medium. We used oil, water, and special fluid that Aveda makes to turn powder into liquid. It was somewhat of a painstaking process as we had to ensure the grit of the crushed make-up was fine enough to emulsify, and Marissa had to sit through multiple rounds of product being poured down her face and neck. Marissa embodying our concept of a wounded bird. ability to achieve, not only the consistency of the make-up I needed, but the overall look. I thought that perhaps I bit off more than I could chew, and as always, this make-up “stuff” wasn’t as easy as it looked. 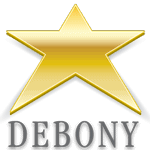 Debony lent me her years of experience as we tried to crack the code of the make-up’s consistency. Eventually we got there and in total, I practiced applying the make-up nine times before the show. Each time I applied the make-up I learned something new. Meaning I learned nine new concepts and stretched my mind, my comfort level and my skill-set. I learned more about blending, more about highlighting and contouring, more about building a smokey eye, more about applying lipstick, and more about myself as an artist. Everyone else’s part from the hair color to the hair design to the costume came out so well and everyone invested so much of their time and themselves in the concept as a whole. Regardless of the fact that we didn’t take home a winning title, I am so glad I partook in this year’s Catwalk. The power of practice catapulted me further than I could have imagined as a student and I feel more confident now for what’s to come next in my apprenticeship. PreviousPrevious post:April NewsletterNextNext post:Summer Toes and Fingers!